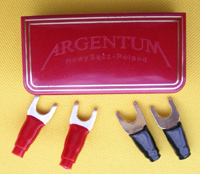 Connectors are made of precision waterjet cutting technology along the rolling direction. They are made of sheet silver with 99.999 (5 N) and a thickness of 1.8 mm. 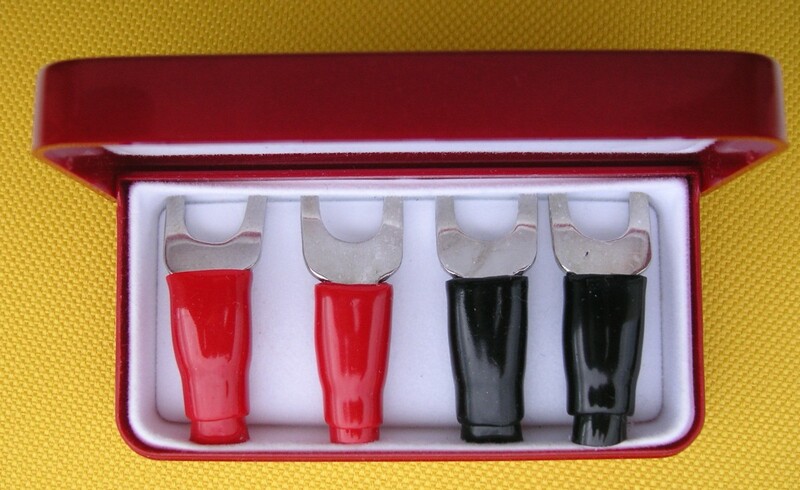 They are compatible with the speaker terminals with clamping diameter 8 mm and a cross-section of cable up to 6 mm². 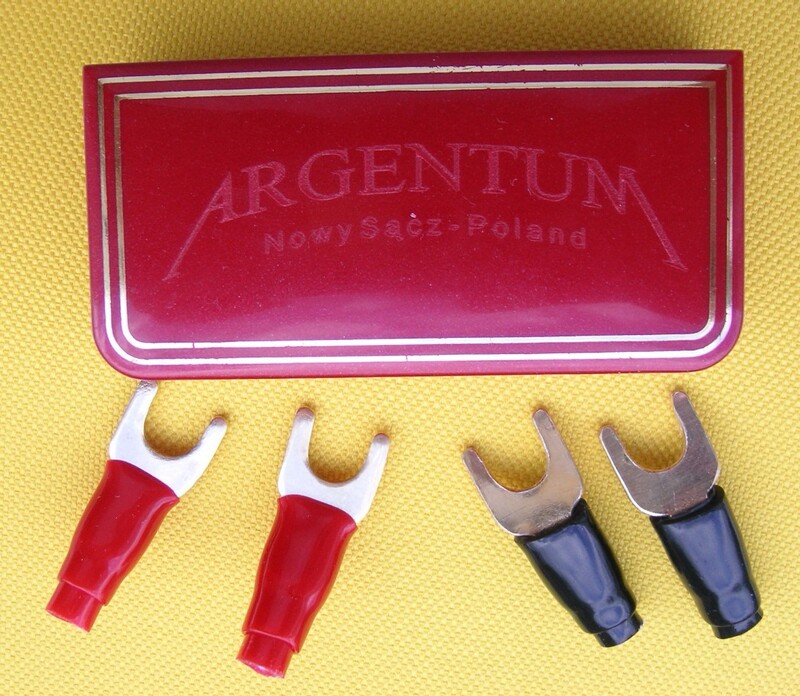 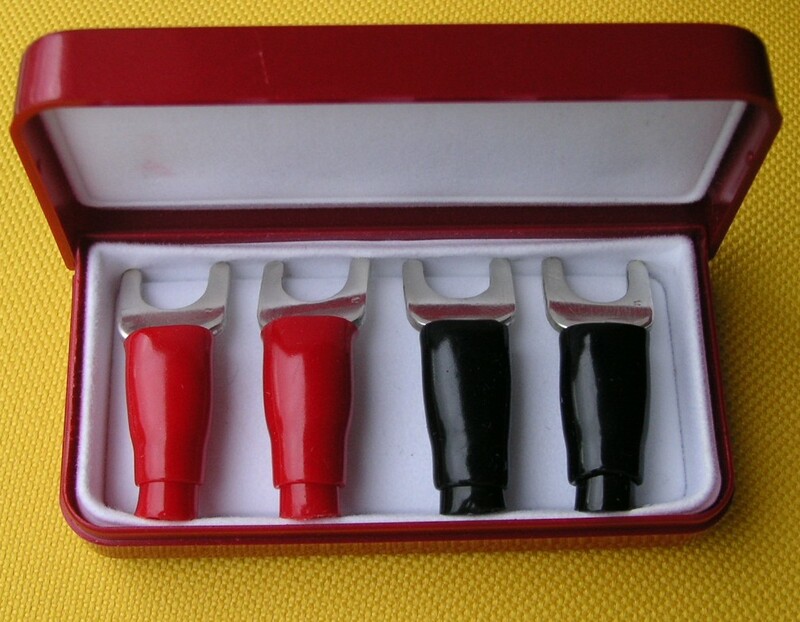 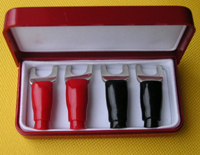 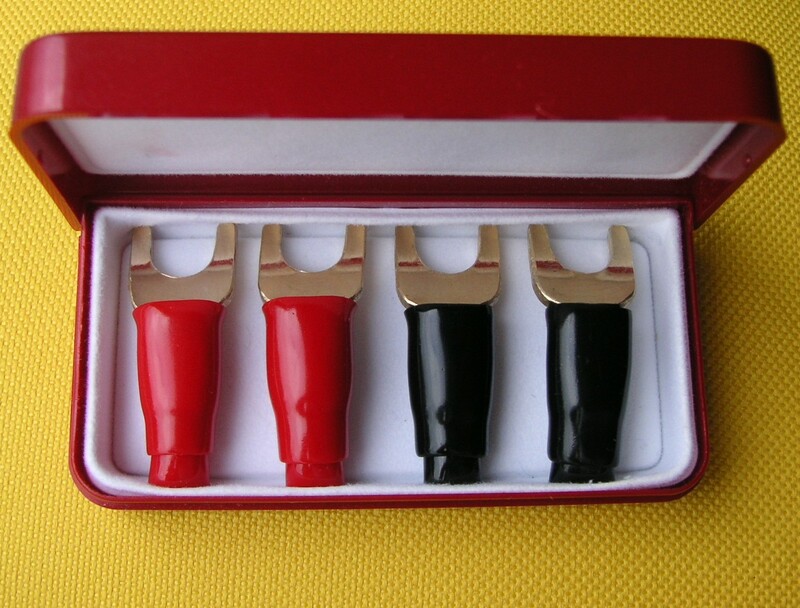 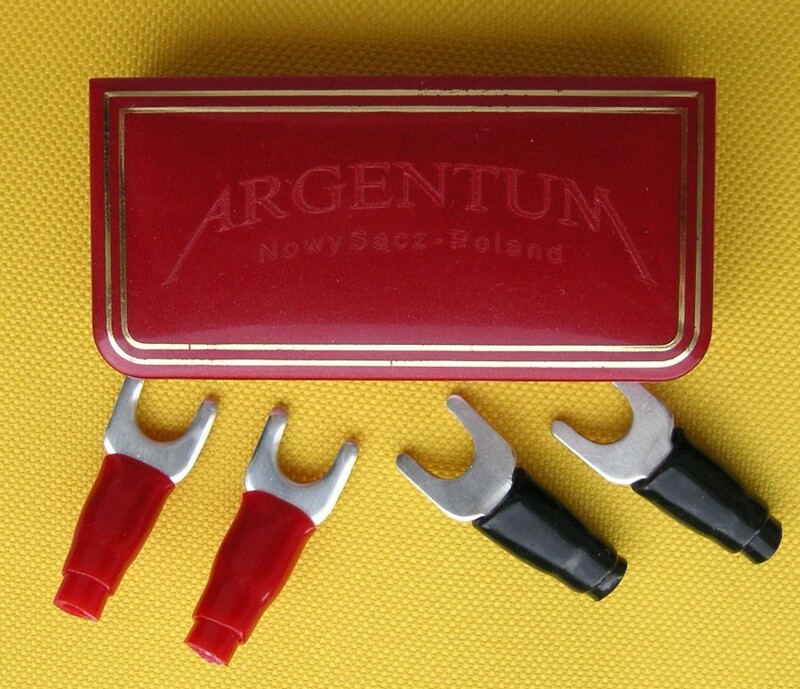 The set includes 4 pieces (2 pieces with a black casing and 2 pieces of red casing) ) and the stretch of soldering alloy without flux Argentum Ag92/Sn8 (incl. min. 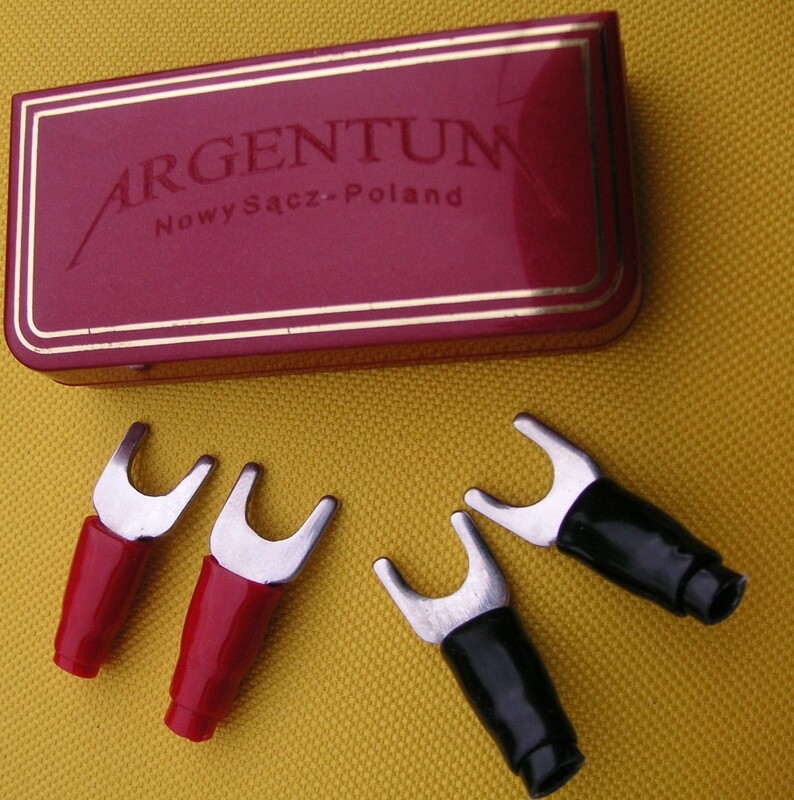 8% pure silver Ag) to comply with connectors by soldering. 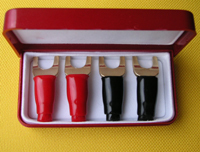 Connectors are made of electroplated coatings of gold (Au), rhodium (Rd) and without plating.